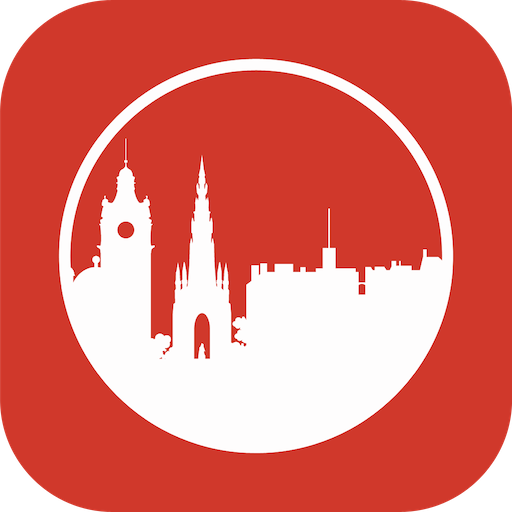 Well, it’s a wee while since we wrote about a venerable Edinburgh institution, with Bar Napoli or Jolly possibly the last victims, but tonight a true gem of Edinburgh Indian royalty found its way under the microscope of our consideration. 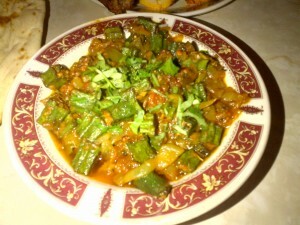 Kebab Mahal is a lo-fi legend, offering mountainous portions of Indian homestyle cooking. In many ways, it’s the predecessor and inspiration for the Mosque Kitchen. 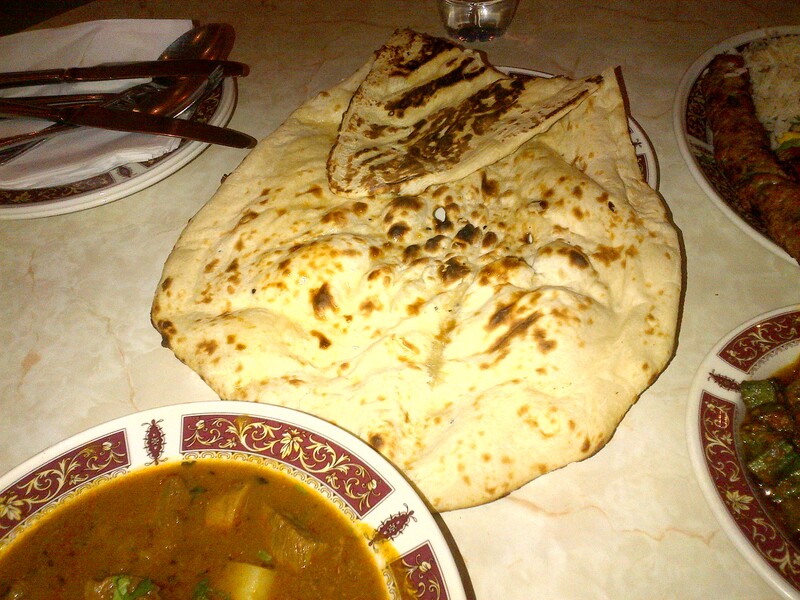 It’s a particular favourite for late night dining, as it’s open until 2am at the weekend. Down the years, I’ve popped in on various occasions and always been served rather well. Today’s visit found it look much the same, but with a few more seats than I remember there being, last time. The place was very busy, and I suspect this was because some of the clientele had chosen to enjoy Iftar, the breaking of the Ramadan fast, on the premises. That’s a pretty solid recommendation of how much the place is valued among Edinburgh’s Muslim community. From a wide selection of dishes, MJ opted for the mixed kebab, which one of the staff suggested was modified to the mixed tandoori kebab, as that encompassed a better range of items. 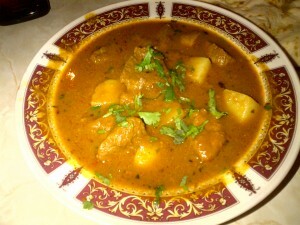 I opted for lamb and potatoes (aloo gosht) with a side of bindi (okra). We shared a plain naan. Dishes arrived quickly, as we helped ourselves to water from the drinks cabinet. They looked typically plentiful, with the naan huge and MJ’s dazzling array of meat products accompanied by a mountain of rice. I was really pleased with my lamb dish. 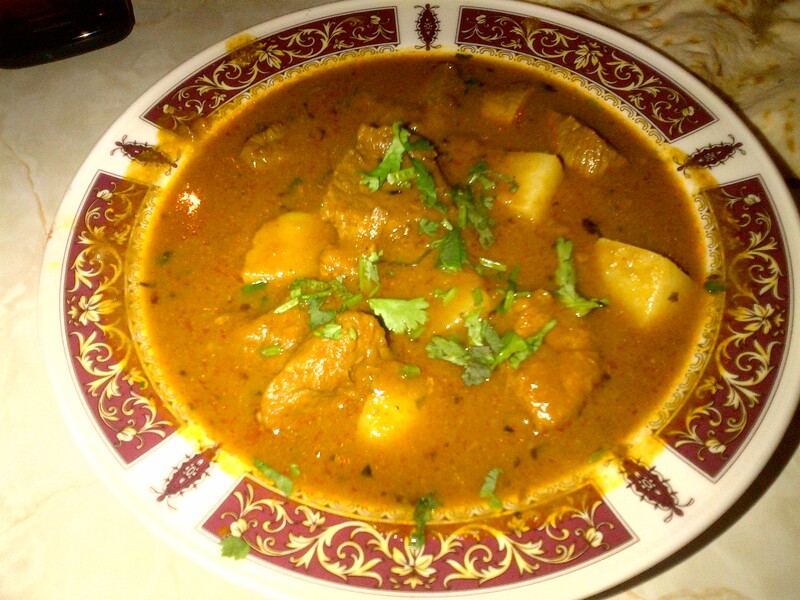 The chunks of lamb were suitably “fall-apart” tender, and the sauce richly flavoured. MJ tried some and was less impressed, as it conjured memories of generic stew. We both agreed that the bindi was very good. I tried a little of MJ’s kebab, and the lamb shikh wasn’t all that great, and the pieces of lamb were as tough as old boots. But the chicken looked good, and was suitably dispatched. So, I was very pleased with my food, but a little less impressed with MJ’s. I don’t think she was quite so lured by Kebab Mahal’s charms as I was, and continue to be. My dishes were of high quality, served neatly and promptly, in a cafeteria-style setting. They represented rather good value, too. Fine dining this is not, but if good quality late-night grub, packed with flavour, is what you’re after, I’d say that Kebab Mahal will suit you very nicely. Not all that long ago Blythe and I found ourselves out and about in need of sustenance after having a few drinks. 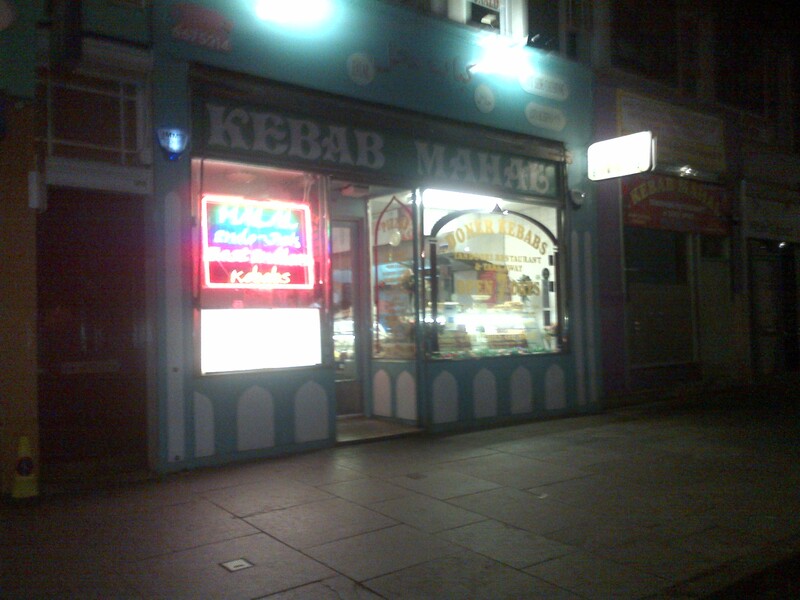 And he was very pleased to take me to an Edinburgh institution on Nicholson Square: Kebab Mehal. I have passed by this place many, many times over the past years, and have never had the urge to go in. Something about the popadoms lined up in the window makes me think that the likelihood of this place living up to my (unreasonably) high standards for Indian food not all that great. Nonetheless, I am broadening my horizons, and we took a seat at one of the only free tables in the back. We both had a look at their menu and the boards that hovered over the takeaway section and I opted for the mixed kebab. Blythe ordered at the counter and then informed me that I would be having the mixed tandoori meal since the waiter/cook/guy at the counter told him it was better. When our food arrived, I was a bit overwhelmed by the sheer volume of the meat on my plate. The bright red chicken was glaring at me from above a shish of minced lamb and beside chunks of chicken and lamb. And when I tasted it, I discovered that it was all pretty good, but nothing to write home about. The chicken was nicely cooked, and the lamb was a bit dry (both the shish and the kebabs).